Written by Tim on Friday, May 19, 2017. Last edited on Thursday, May 25, 2017. Vapor 2 has now been released! It contains a load of awesome improvements, including massively simplifying some of the most common use cases, huge performance boosts and loads of great new features. I've had a long running vapor2 branch of both SteamPress and the example site since the first betas and this post highlights some of the keys changes between the two versions and how to migrate your project. The first thing you need to do is make sure you have the latest version of both Swift and the toolbox. Vapor 2 requires Swift 3.1, so it is time for you to upgrade if you are still clinging to Swift 3.0! It is worth the upgrade even just for the stability improvements in SourceKit and LLDB! Finally once you have done that, run vapor update and you are ready to get going! Note: you must make sure that any other dependencies you have are Vapor 2 compatible, otherwise you will either get an unsatisfiable error from Swift Package Manager, or it will get itself stuck in an endless loop. 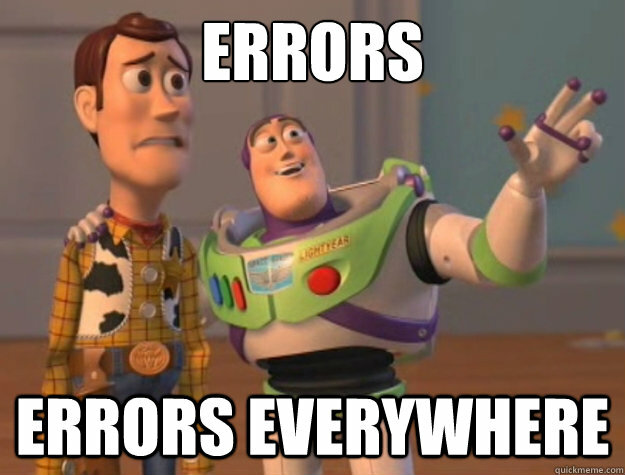 Don't be too disheartened by all of the errors! Most of them are easy to fix and you will be on Vapor 2 in no time. Vapor 2 introduces the concept of a Droplet's configuration, which can be thought of as a staging area for setting up everything about your Droplet. This is where you now add things such as Providers, Middleware, Preparations and any other configurable options. It also means that all of your Droplet's properties are now constant let properties. This means that they can't be changed once the Droplet has been initialised which makes testing your applications and libraries a lot simpler. It also means that you can pass around properties from your Droplet directly rather than passing around the entire droplet. This makes testing and dependency injection much simpler! This file tells the Configuration to use those 6 middlewares and to load them in that order. So the Vapor Security Headers middleware is always the first one so that security headers get added to every single request, regardless of whether they fail or not. Fluent models are mostly similar, but the responsibilities and ways they interact with the database have been changed, for the better. To start with, each model now requires a Storage property. This takes over from from your model's id and the exists property that was in the weird state of being deprecated but required in order to make things work properly. It also take over all responsibility for setting the ID in the database and extracting it from the database, so that is one less thing to worry about. Node is no longer used for getting information from and saving information to the database. This now falls over to the Row object, which works in a similar way but now provides a clear distinction between when you are interacting with the database and when you are interacting with Leaf or other instances that require a Node. This helps, for instance, in ensuring that your user's password is never passed to Node object and kept inside the Row object so only the database and model have access to it. Relations have been simplified in Vapor 2 as well. Notice that in this initialiser above, the author property can be be extracted used the foreignIdKey of the parent object - no more trying to guess what Fluent has set the relation ID to be! Notice how much simpler the parent() call is - you don't need to guess the column name in the database or provide the type! Less 'stringly-typed' improvements FTW! Like a lot of Vapor 2, Authentication have been pulled out of Vapor and is now a separate package. This is great for sites that don't need Authentication - less files to compile, a smaller binary and quicker compile time! If you do want authentication in your site, just add the auth-provider as a dependency. The package contains lots of different Authenticable types for different use cases, such as Password, Token etc. SteamPress uses the PasswordAuthenticable to allow users to log in to the site, so that is what we are going to look at today, though the concepts are mostly transferable across the different types. passwordVerifier - this verifies your hashed password against the one provided and the only thing you should use for this is BCryptHasher. It automatically conforms so just use it, don't scrimp on security. It is so easy to use so there is no excuse for storing passwords without a strong hashing mechanism and salt. Anyway, I digress, that's probably a topic for another blog post! I set the usernameKey to my column name; by default it uses email so just change it if your column name is different. You will notice that I also add a passwordHasher property here, that is just a convenience property so I have a central place to call a method to hash my passwords rather than having to new up a BCryptHasher every time I want to create a new password hash and make sure they have the same cost. It is also a single line I need to change when I want to increase the cost of the hash in the future when computers get quicker, rather than trying to find every instance across my code. You will also notice that I save the password on my model as Bytes rather than a string - this is just because the BCryptHasher returns the hash as Bytes and also stops me from being an idiot and trying to save the password as plaintext. This will take care of setting a cookie when you login your users and then checking the cookie in subsequent requests. You don't have to do anything else! One thing to note is that the Credentials use has been simplified, so you now longer have to pass it every single property on your user or hack in a work around. Other than that, it is fairly similar. Once you have your username and password and your PasswordCredentials you call authenticate on your model. This will throw if it fails, so catch and handle the error. Otherwise you can call request.auth.authenticate(user) and this will log your user in, sets up the session and make sure the cookie gets set. Registration is no longer required, you just need to save your user in the database as normal! If you want to log them in at the same time, just follow the steps above. Routing is probably the biggest change in Vapor 2 conceptually and was probably the most difficult thing to get your head around! The major news for Vapor 2 is that there are no more restrictions on parameters! Previously you could only nest parameters up to three deep due to Swift's generics and strict type safety. Any more than that and the compiler would take too long to be compile your app (think hours to days...). So in Vapor 2 there is a new Parameterizable protocol and a new way to extract parameters from requests. static var uniqueSlug: String = "mycustomtype"
You can have as many request.parameter.next() calls as you want in your handler, including of the same types. Due to all of the Configurations, testing becomes a lot simpler in Vapor 2. As everything is defined in your Config and set up when you instantiate your Droplet you don't need to try and create a testable droplet, manually run your preparations. You can set everything up in the same way as you do your normal code, including Providers, Middleware and routing. The only thing you need to make sure is that you don't call try drop.run() as that will start is listening on the port and block your tests! However, in your tests, calling routes on your Droplet will still work and it will respond as it does when running as an application. A final reminder that lots of things have been put into separate packages, including Fluent, Validation etc. If something existed in Vapor 1 but you can no longer see if, you probably just need to add the dependency. The new documentation site can be found at https://docs.vapor.codes/2.0/. If you have any question go to the #help channel on Slack or post a comment below!